The art of sculpture prevailing from the ancient time to date denotes the work to make small images and big statues out of clay, stone, metal and wood. Images and statues are made by carving, modeling, and molding. The artist who makes sculptures is known as a sculpture. Like paintings, our sculptures are also shaped by religion. They are indeed, the offshoots of our religion. Excavations carried out over these years in places like Janakpur and Lumbini are reported revealing more of ancient and medieval sculptures. As mentioned in the previous lesson, Nepali sculpture is younger that the art of painting. It was introduced in Lichchhavi period and flourished fully in the Malla period. The image of Baman made of clay (terracotta) in ancient times was installed by Lichchhavi King Mandeva and it is the oldest dated image available today. Mandeva was a king of artistic taste and did a lot of foster art and architecture. Basically, clay and Metal was used in that sculpture. Broadly the Lichchhavi sculptures can be divided into three groups-first including the earliest sculptures available today-as earlier as 2nd century, second including the sculptures with recorded dates which are important and authentic source of knowledge about history and finally the third group includes those images those were giant and also non-Hindu artefacts like Vishwarup (Changu), Dhumbarah (Handigaun), images of Garud, Buddha, Lichchhavi sculpture was categorized by religious theme, proportional organization, little use of costume, neutrality and simplicity. Stone was much used and there was no effect of tantrism. The image of Birupakshya is really simple and beautiful. The body is buried up to the waist. Curly hair, round face, and well-formed body are perfectly organized. It uses white stone different from commonly used blue one. Vishnu in Budanilakantha is really the marvelous art of Nepali sculpture. It is one solid piece of stone which is about the 7th century, was carved into the likeness of Vishnu who lays on the bedding formed by shesh nags with his head to the east. His calm face and gentle smile are given the symbolic interpretation. Buddhist images of the ancient time include images of Buddha and Bodhisattva found throughout the country and Maya Devi temple in Lumbini in particular. Development of Nepali sculpture reached its climax in the Malla period. In the addition to Clay, stone and metal used earlier, wood, cloth, papers were used. Metal was used most. If the Lichchhavi sculpture was simple, the medieval one began to be more complex in the form and meaning. Ugrachandi with 18 hands is an example. Influence of tantrism as in the images of dreadful Bhairab Kali etc was seen. Religious tolerance further developed. Images contained round faces and slanted eyes which could be attributed to Buddhism and Tibetan influence. More costume and jewelry were used. Royal palaces areas in Kantipur, Patan and Bhaktapur were beautified by highly decorative images as well as carefully carved kings own statues. Following the arrival of Harisimha Dev, Simraungarh art had some influence upon the Nepali sculpture. Development of sculpture has slowed down in the modern period. Construction of statues of Kings, Rana prime ministers and martyrs gave some continuity. Today very few professional artists make sculptures which mainly include souvenir items sold to the tourists. Using clay and straw, beautifully colored images of deities like Durga, Saraswati, and Kali etc is made in Terai. But the work is seasonal. The artist who makes sculptures is known as sculpture. The image of Baman made of clay (terracotta) in ancient times was installed by Lichchhavi King Mandeva and it is the oldest dated image available today. Mandeva was a king of artistic taste and did a lot of foster art and architecture. Development of Nepali sculpture reached its climax in the Malla period. In the addition to Clay, stone and metal used earlier, wood, cloth, papers were used. Development of sculpture has slowed down in the modern period. Construction of statues of Kings, Rana prime ministers and martyrs gave some continuity. Give a comparative description of ancient and medieval Nepali sculpture. Simple in meaning and influenced by religious theme. Complex in meaning and influenced by tantrism. Stone and clay was used to make those paintings. Stones, metals and woods were used to make those paintings. Little us of costume and ornaments. More use of costumes and ornaments. Which of the sculpture you observed is most beautiful and why? Vishnu in Budhanikantha is the most beautiful sculpture I've ever seen because it is a really marvelous item of Nepali sculpture. It is one solid piece of stone which is about 7th century, was carved into the likeness of Vishnu who lies on the bedding formed by shesh nags with his head to the east. His calm face and gentle smile is given symbolic interpretation. Development of sculptures reaches its climax in the Malla period. Explain with evidences. Development of sculptures reached its climax in the Malla period because during Malla period most of the renowned sculptures were introduced and flourished. Malla period is also known as the golden period for sculpture. The images inside Changunarayan Temple and around it, image of Palanchowk Bhagwati, image o Budhanilkantha etc are the evidences to that the Malla period was the golden period of sculptures. Nepali sculpture is valued mainly from their religious perspectives. What should be done to enhance their aesthetic importance? Nepali sculpture is valued mainly from their religious perspectives. To enhance their aesthetic importance, sculptures be given a proper recognition in the society. People should be encouraged towards the aesthetic side to improve the painting style and sculptures should be given an important position in the society. What do you think should be done by the individuals and government for the preservation of Nepali sculpture? Exhibitions should be held from time to time. Necessary tools should be provided to the interested people. Old, Important and valuable sculptures should be preserved in the museum. Regular cleaning and mending of the sculptures should be done. What is meant by sculpture? Write brief introduction to it. Sculpture is a work of art that is produced by carving or shaping stone, wood, clay, metal etc. This can be in the form of statues, engraving and so on. Religion being the heart and soul of the traditional Nepali sculpture, there are many idols and images of gods and goddesses that were made in ancient times. Most of them are carved on stones, walls and wooden planks and fixed on doors and windows of temples. The middle age of Nepal was popular for sculpture. The oldest idol found till the date is of Baman Tribikram Birupakshya. How was the condition of sculpture in ancient time? Explain them. The sculpture in Nepal has been developed since ancient time. Wooden, metal and stone carvings have been tradition of Nepal since the ancient time. 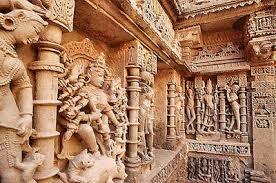 In the carvings, we can find the images of gods and goddesses, animals and birds, etc. The idol of Baman Tribikram is the old model of sculpture of ancient period. The development of sculpture was in climax in the medieval age. Extensiveness, complexity, religion, humanism, etc. are the features of medieval sculpture. Formally, the development of sculpture in Nepal started from Lichhavi period. Find out a sculptor and prepare details about the sculpture. I have found a sculptor. He was very busy making several images of goddesses and idols. His creations were scattered everywhere around him. They were of god, goddess, animals, birds etc. I asked him several questions on sculpture. He said to me that metal, stone, cement, ironwood, chemicals are necessary to make idols, images and statues. To show the carvings on images is very difficult job. Collar, scale, hammer, thread and pencils are necessary for making images. It may take more than one month to complete an image. He also said that such his creations have the market within our country or outside the country. Which of the sulpture is not related to hindu? Which of the sulpture is built in medieval period? Any Questions on 'Nepalese Sculpture (Murtikala) '?